The mission of Usui Reiki Ryoho (Healing Art/Method) is to enhance mutual well-being for oneself and others, on one hand, by fulfilling a peaceful and joyful life mentally and physically and, on the other, healing the sick. 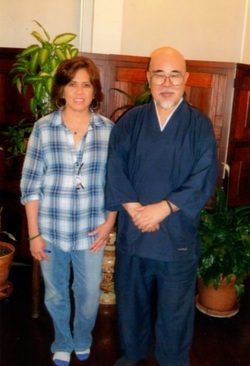 Reiki is a healing practice that originate din Japan. Reiki practitioners place their hands lightly on or just above the person receiving treatment with the goal of facilitating the person's own healing process. In the United Stes, Reiki is part of Complementary and Alternative Medicine. Rei 靈 means something mysterious; miraculous; ethereal, and sacred. Ki 氣 means the atmosphere or something subtle or the energy of the universe. Reiki is a healing technique that utilizes deep relaxation to calm the mind, reduce stress, relax the body, and ease the spirit. Reiki can be combined with other healing modalities. A copy of your Reiki 2 Certificate at least 6 months prior to this event. *Okuden (Inner Teaching) is means deeper knowledge or inner most. 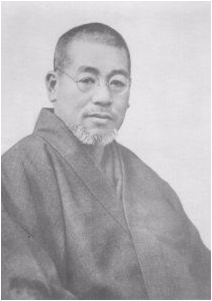 The focus of this degree is on the spiritual practice of Reiki Ryoho. It is intended for teacher candidates and for those Reiki practitioners who want to deepen an understanding of Reiki Ryoho and develop the inner growth. * The fourth shirushi or symbol after receiving (2) or (3) Reiju (initiation/attunement) depending on Teacher discretion. In order to receive a Certificate of Completion, Attendees/Participants are required to attend the entire session and complete an evaluation. Learn Reiki as it was taught in Japan in the 1930s. Komyo ReikiDo is a doorway to spiritual awakening and a path to Satori. 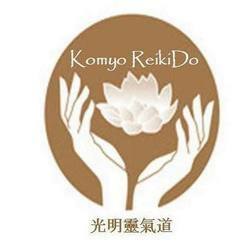 Komyo ReikiDo is a "keep-it-simple" Reiki system. Go placidly in the midst of praise or blame! system places emphasis on spiritual enfoldment through the practice of Reiki Ryoho, aiming for “satori” or enlightenment. This was an outstanding experience. Lilia was not only knowledgeable but kind enough to repeat the material to make sure the concepts were well absorbed. I was treated with treated with respect and was taught compassion and quality of care. I loved it! Thank you Lilia for creating such well organized Reiki class. The handouts are beautifully done... Just like the way I'd like to learn it. I am very glad that I got to learn from the direct descendant teacher from Usui Sensei. I look forward to attending all other levels. It has been a wonderful experience, very powerful and inspiring! Shudan Reiki was powerful ... It made me more relaxed-my shoulder pain is gone. Lilia engaged us in exchanging experiences and ideas... this made the classroom setting more comforting. I am ready to learn more. Great teaching! Great practice sessions! The learning method is very appropriate and effective. Great Teacher! Lessons are valuable for healing process and stress management and essentially needed by our modern times.